Prince Newman may be the best kept secret coming of the Bay Area. 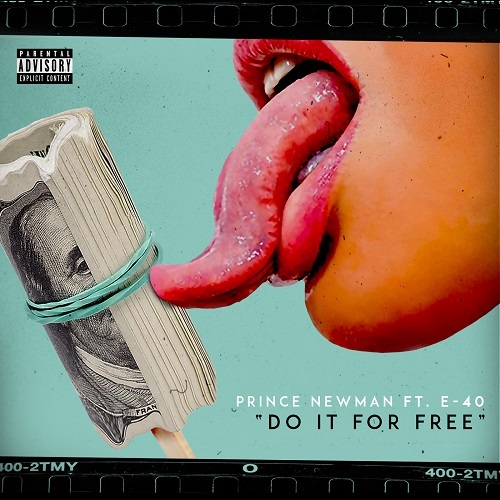 After years of grinding without being noticed, Newman seems to have finally caught a hit with “Do It For Free” featuring E-40. Recently landing a record deal with TSE, the discovery of Newman can be credited to the legendary Tony Draper, founder of Suave House Records. Draper has a unique ear for talent and the skinny white dude out of San Francisco is a perfect fit for the music executives eclectic approach to the industry. As if being noticed by a legend like Tony Draper isn’t a big enough stamp of approval, Newman also gets the biggest cosign that a Bay Area emcee could ask for, an E-40 verse. “Do It For Free” is the perfect single for these two emcee’s to collaborate on. This instrumental has a signature Bay Area bounce that is a great compliment to both rappers flow and energy. Newman delivers a catchy hook and his ability as a rapper is on full display with each 16-bar verse. The single is also backed by a quality visual directed by the award-winning Gabriel Heart who perfectly captures fun essence of this record by comedically placing Newman and E-40 in a room with a bunch of baddies doing yoga. Check out the video for yourself below and make sure you stay on the look out for more to come from Prince Newman.